As we approach the winter season, please remember to use caution when snow and ice are present on sidewalks and steps. Operations & Maintenance will remove snow and add salt or sand to icy spots on sidewalks and steps on campus according to the priority snow removal map. Parking lots will be cleared and salted or sanded as needed by a third party. The Department of Religion & Philosophy will host a retirement reception for the Rev. Dr. Kit Kleinhans on Wednesday, Dec. 13, 12:30-2:30 p.m., in the Hagemann Castle Room. Kit, who came to Wartburg in 1993, is retiring from Wartburg College and will become the dean of the newly established Trinity Lutheran Seminary at Capital University in Columbus, Ohio, in January. All are invited to attend the reception. Click here to read more about Kit’s new endeavor. The last Fall Term meeting of the Wartburg Philosophical and Literary Society will be Friday, Dec. 8, at 4 p.m., in McCoy West. The speakers will be Bo Bader, Liz Buckwalter, Eric DeVos, Mackenzie Funke, Ashlee Henderson, Karl Jaeschke, and Zhanfei Xu, students from the American Family Insurance Leadership Insights class that met during May Term. 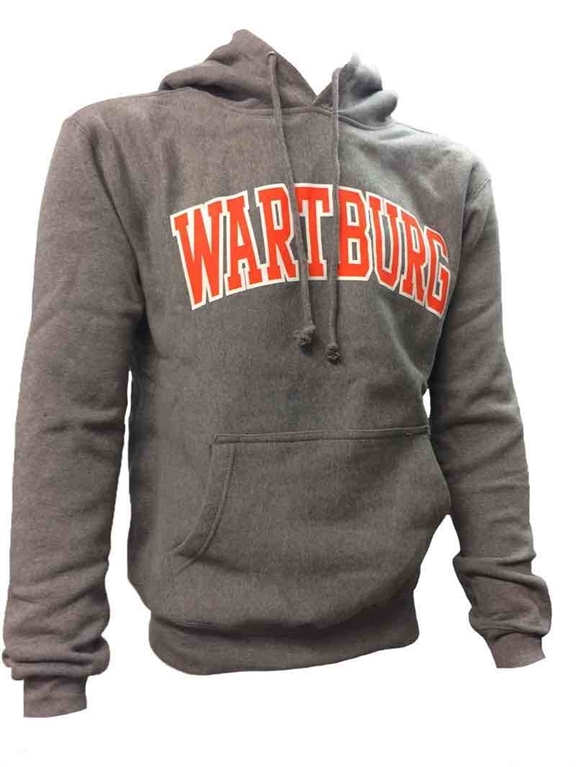 The title of their presentation is AmFam: Allying Lessons Learned to Wartburg’s Focus on the Future. All are welcome. Click here to see the new issue of Trumpet Magazine. This week’s edition features Yusra Malik, Ieshia Brown, and Jeanne Edson. Effective Jan. 21, the cost to send a standard letter or postcard will increase by one cent, raising stamps to 50 cents and postcards to 35 cents. Package shipping prices will also increase, though prices still depend on packaging, weight, and destination. Faculty and staff are encouraged to consult with the Mail Center if interested in purchasing stamps prior to the price increase to ensure availability and confirm need. The final Presidential Forum of the year will be Tuesday, Dec. 5, at 11:30 a.m., in the Hagemann Castle Room. Please note that the March forum, originally scheduled for March 20, has been changed to March 22 in the Castle Room. Please remind students that an incomplete grade is not valid unless it is supported by a Student Request for Incomplete Grade Form. The completion of the form should be initiated by the student to confirm that the student and instructor have been in communication regarding the incomplete grade policy. The form is available on My Wartburg or in the Registrar’s Office. Any incomplete grade submitted by the instructor without support of the form will be changed to an “F.” Please refer students to the incomplete grade definition in the 2017-18 academic catalog, which can be accessed online. Incomplete grades should only be issued for students who are passing the course when final grades are due. With permission from the Registrar, instructors can complete the form for a student whose circumstances prevent them from submitting the form. Please note that the form is not required for internships, field experiences, or study abroad courses. The college’s lease of the building owned by St. John’s Cathedral in Denver, Colorado, used to house students for the Wartburg West program, will end Dec. 31, 2018, as St. John’s has found other uses for the property. We have enjoyed the relationship with St. John's and hope we can continue to grow this relationship outside of housing our students. We are currently seeking a replacement building. Candlelight Vespers will be held on Sunday, Dec. 10, at 7 p.m., in the Chapel. Prelude music will begin at 6:30 p.m.
Sunday, Dec. 10 – Commencement at 10:30 a.m.
Sunday, Dec. 10 – Christmas/Advent Candlelight Vespers at 7 p.m. Thank you for all of the Sunday offering gifts. As a result, Wartburg was able to donate $2,040.58 to Lutheran Disaster Response. Your generosity is helping us to love and serve one another within the whole church. There is still some availability for seniors, faculty, and staff to provide the Chapel message in the spring. Email SLCM.office@wartburg.edu if you are interested in signing up. Friday, Dec. 8, depart at 3 p.m. for Cornell. Pastor Brian Beckstrom presented at the Association of Lutheran Development Executives regional gathering on Nov. 30 at Camp Ewalu's Stone Center near Strawberry Point. The topic was “Reforming Lutheran Higher Education” and featured research from his forthcoming dissertation and the Wartburg Spiritual Life and Campus Ministry Program Review. Jay Boeding and Laurie Everhardt from Wartburg’s Advancement office were also in attendance. The Rev. John Anderson ’62 presided over his final service on Reformation Sunday, as reported by the Cheboygan News. Jon Horick ’85, vice president of investments for Stevens Foster Financial Advisors, was the architect behind a "buy local" investment approach featured in the Minneapolis Star Tribune.